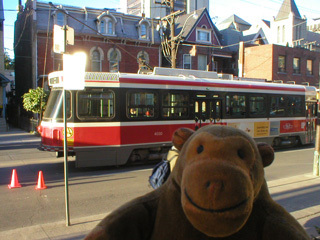 "That's an eye catching colour for a taxi"
Back on the Toronto streets, Mr Monkey checked out the available transport. It turned out that a streetcar was really a tram, and that many of the taxis were orange. 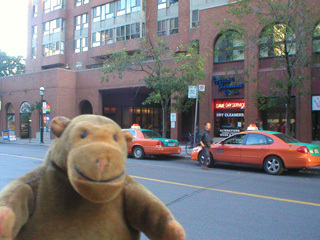 Mr Monkey approved of the orange taxis, though he wasn't sure about the green bits.